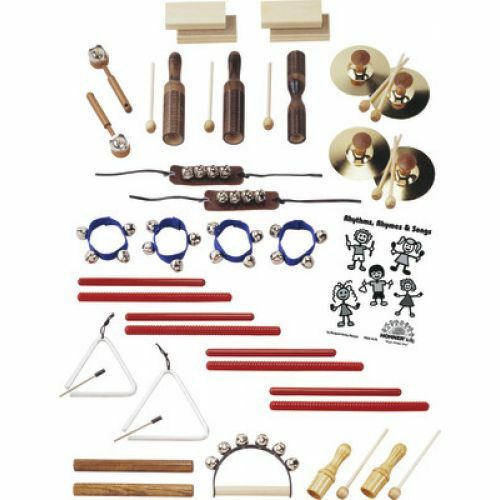 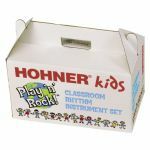 Our Rhythm Instrument Sets include an assortment of instrument combinations, ideal for accommodating different numbers of players in a classroom. 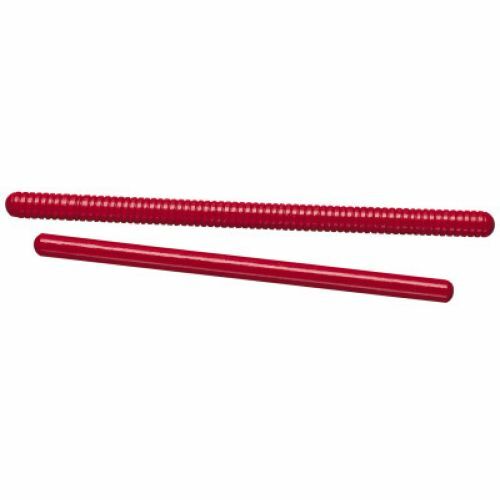 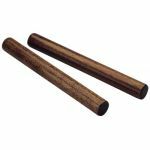 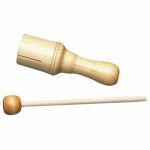 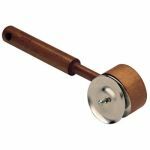 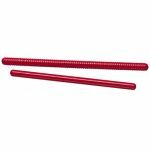 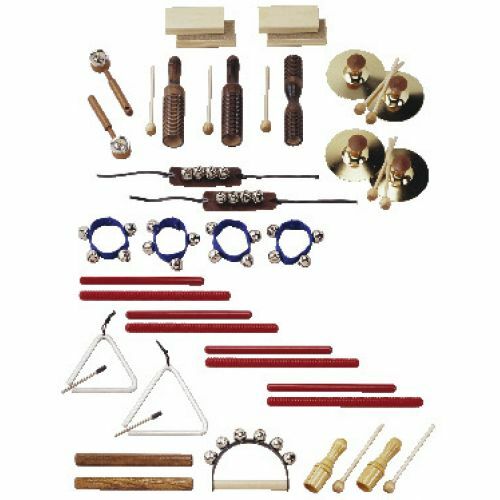 Each set has been carefully selected to provide a wide range of rhythm, timbre and pitch. 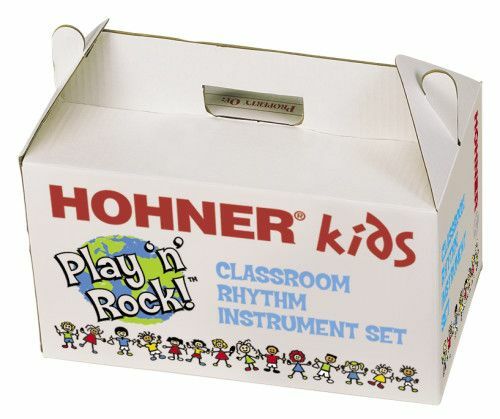 Includes an Instructor's Book and a handy corrugated storage box with a built-in handle. Ages 3 and up. 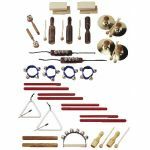 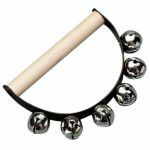 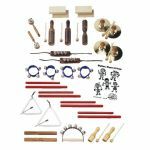 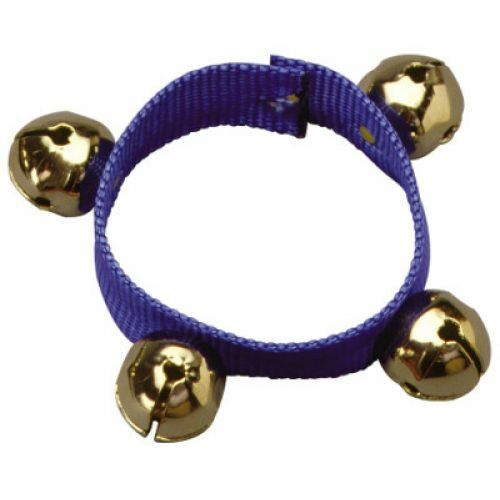 Set Includes: 2 Pair Blocks, 2 Single Jingle Taps, 2 Crow Sounders, 1 Two-Tone Wood Block, 2 5" Cymbals w/Mallets Pair, 2 Ankle Bells, 4 Wrist Bells, 4 Rhythm Sticks Pair, 1 4" Triangle, 1 6" Triangle, 1 Hardwood Claves Pair, 1 Handle Sleigh Bells, 2 Soprano Sounders, 1 Rhythms, Rhymes & Songs Instructor's Book.